Jose Mourinho almost always speaks his mind, yet not everything the Portuguese says should be taken seriously. Often, the Real Madrid coach uses press conferences to transmit messages to his players, rivals or the press, but when he claimed after his team’s 5-0 defeat to Barcelona in November of 2010 that the loss had been “easy to digest”, he was merely putting on a brave face. Barca had humiliated their fiercest foes at home and avenged the defeat to Mourinho’s Inter in the previous edition of the Champions League, just five months earlier. It was the first Clasico for the former Porto and Chelsea coach, the worst possible start. And the mental scars took time to heal. Although Mourinho’s Madrid beat Barca to collect the Copa del Rey later in the same season, the overall balance was bleak as the Catalans claimed the Champions League and La Liga. And his hoodoo against Pep Guardiola’s team continued into his second season with defeats in the league, the cup and the Spanish Supercopa. The problem had become psychological and even when Madrid matched Barca on the pitch, they still ended up losing. Ahead of one Clasico clash in January of 2012, Goal.com spoke to top sports psychologist Rhonda Cohen and she said: “It is really difficult with regular adversaries as you develop a brain pattern that is hard to break. It is even a learned helpless. You don’t ever think you can win and that negative energy keeps you down. Following back-to-back triumphs in the space of five days, Mourinho’s first consecutive Clasico victories in his three-season spell in Spain, however, Madrid have finally broken that psychological barrier. Mourinho will have been hugely satisfied with both of this week’s wins. The first came in a must-win match at Camp Nou in the sides’ semi-final second leg in the Copa del Rey, with Barca expected to triumph at home, while Saturday’s game saw the capital club claim three points with a scratch side containing a number of fringe players and starting without Cristiano Ronaldo. Even with their best XI on the pitch, Mourinho’s men toiled in the early days but they have since overcome the mental scars of damaging defeats at the hands of their eternal enemies. Now the fear factor is facing Barcelona. 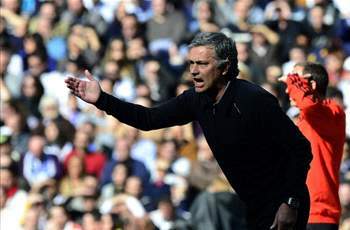 The greatest irony is perhaps that Mourinho seems set to move on in the summer, just when he is enjoying his best form against the team he was hired to beat and just when he has gained the mental edge in the Clasico, winning four and drawing two of the last seven meetings in the famous fixture. So if, as looks likely, Mourinho does depart in June, his successor will inherit a side with a strong mentality against their greatest rivals. And he will have the Portuguese to thank for that, because it has taken three years of hard work for Real Madrid to truly break down their psychological barrier. Now it’s Barcelona with an obstacle to overcome in the Clasico.